This dress might be a bit of a mental stretch, but hear us out on this one! 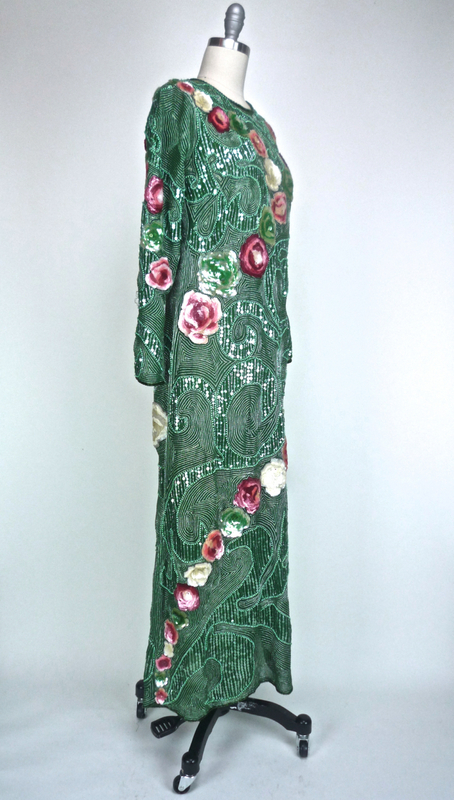 Created in the 60s, a floral fantasy of fuchsia and creme sequin flowers, set against a deep green backdrop of coloured pearls and sequins. A classic A-Line cut, this dress fits close at the bust and floats away from the body, to a modest Ballerina length. 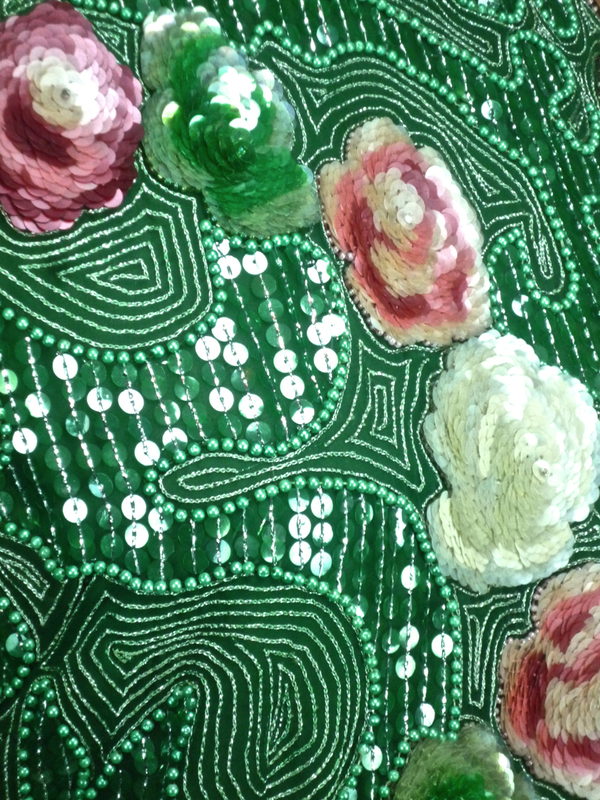 Crew, or Jewel neckline, and straight, long sleeves are both hemmed in green seed beads. 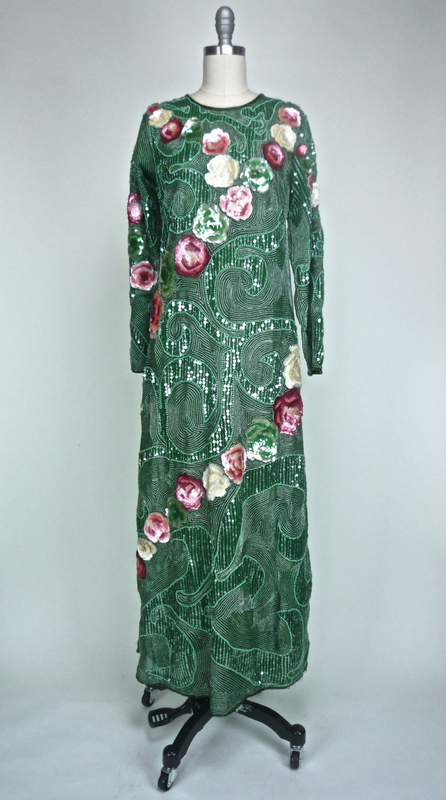 This dress, while bold, is a great example of what is possible with special embroidery and beading techniques, and I am pleased to have Her in our collection! Wear this fun piece however you like – I would find some funky heels with a nature element, and possibly a hair accessory, or go simple with a metallic sandal, or flat.